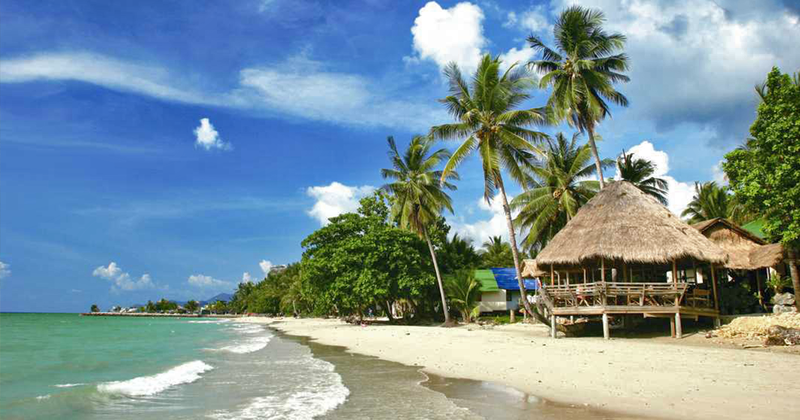 Situated 3 minutes from the beautiful beach, Lek Hotel is the perfect budget-friendly accommodation. 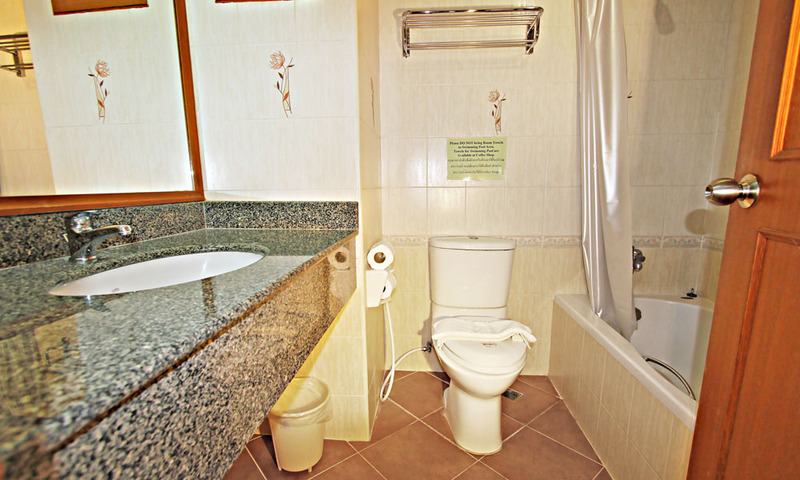 You can opt for rooms with balcony overlooking the pool while the bathrooms do offer bathtub and shower with hot water. 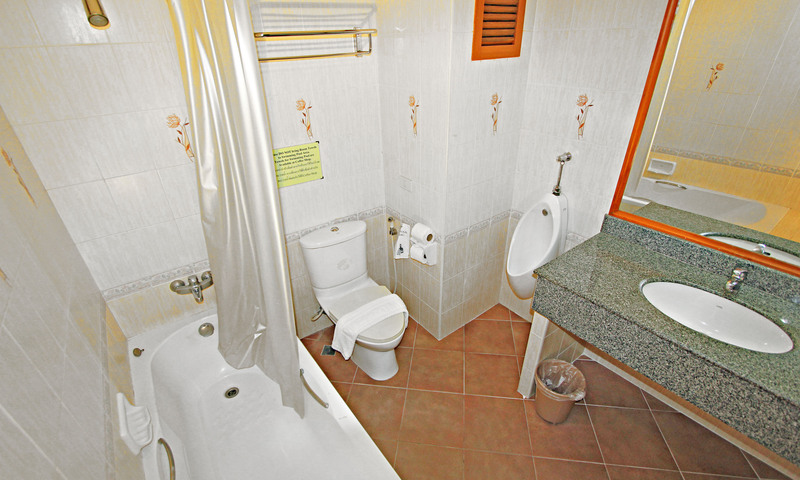 WiFi connectivity is provided free for the first seven days. 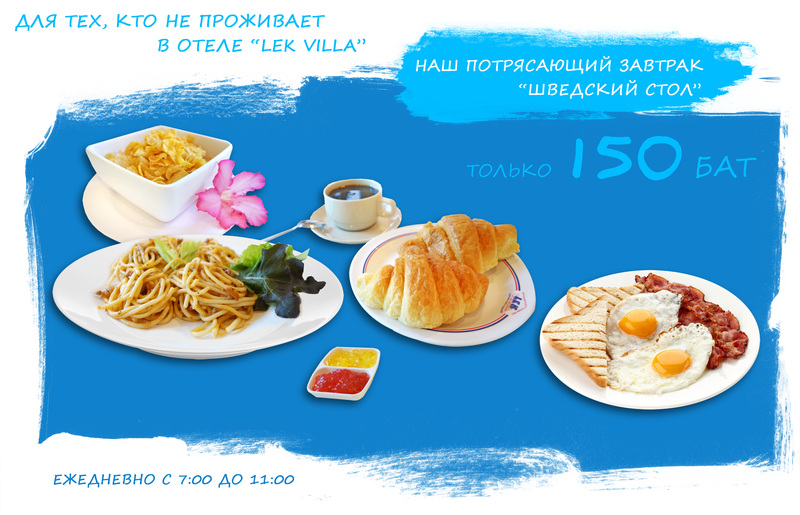 Breakfast served in open air and dinner buffet facing the pool deserves a special mention. 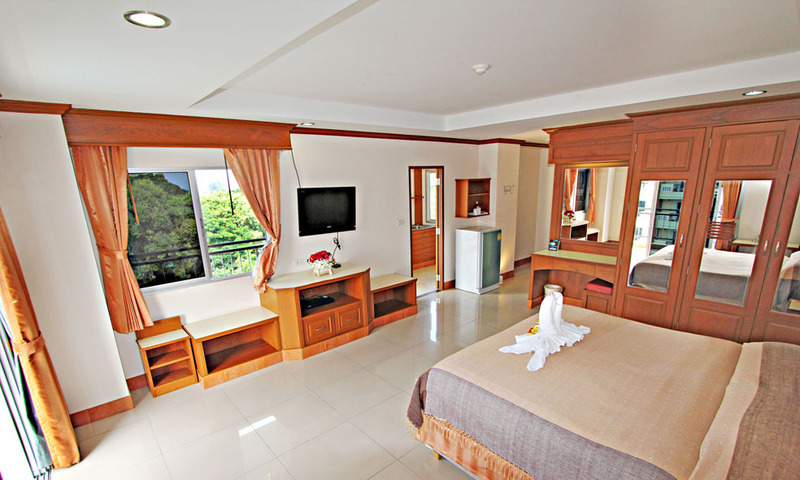 Lek Hotel Pattaya is a 3-star property located close to the beautiful and vibrant Pattaya beach. 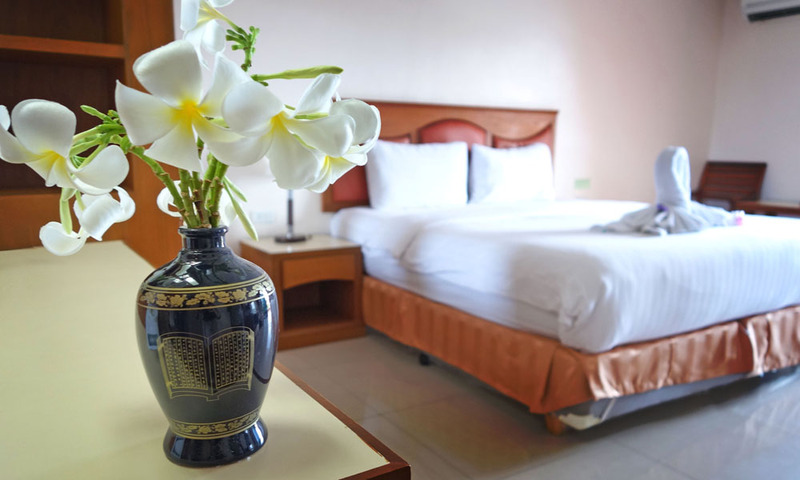 With comfortable rooms and prompt service, the hotel is great for leisure, business travelers or couples. 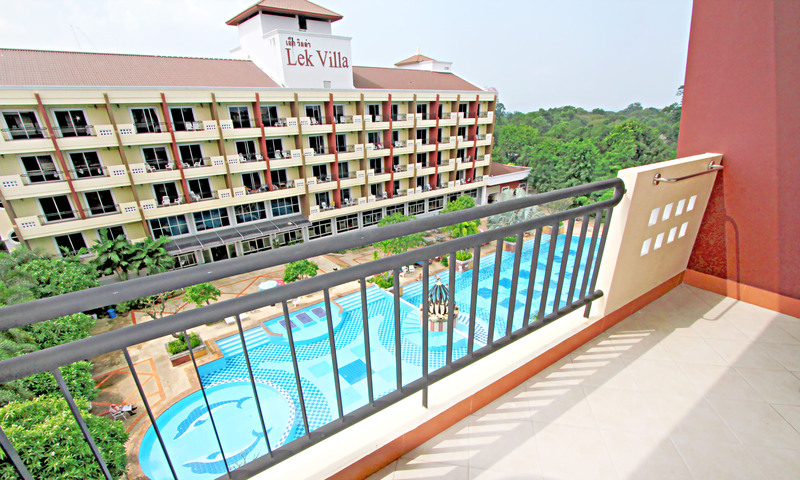 It features a big outdoor pool for its guests to let go of all stress after a long day of exploring the city. 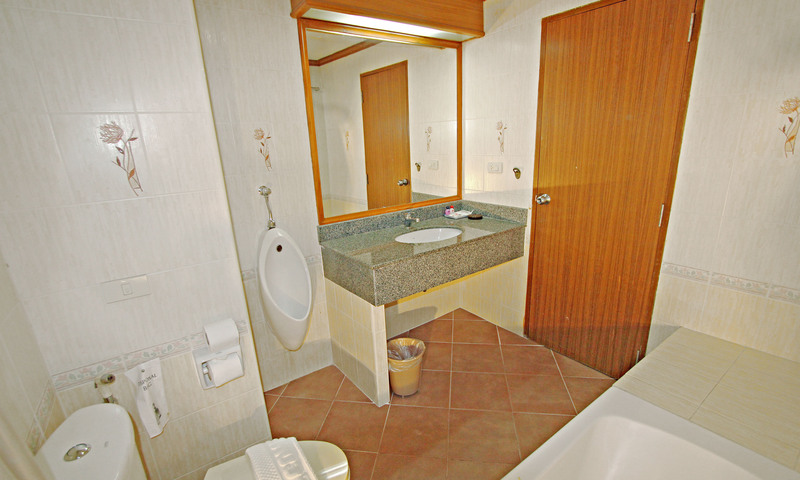 The hotel boasts of its simple design along with modern-day amenities that offer sheer comfort to all the visitors. 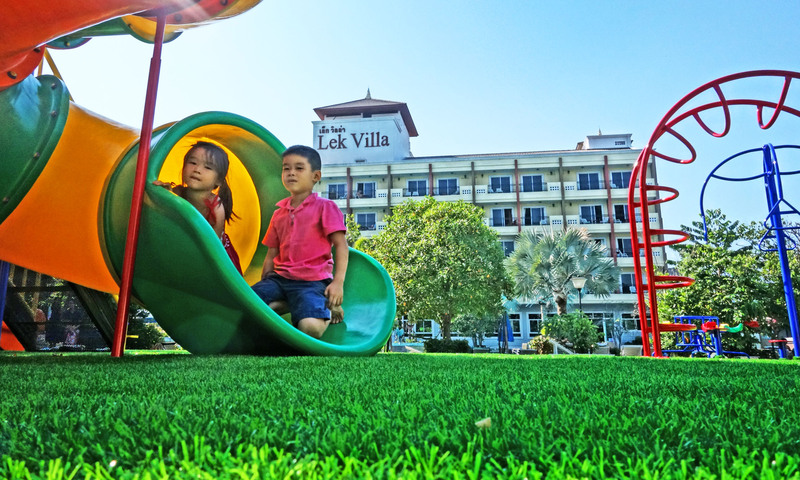 The staff is friendly and dedicated to making sure that the guests have the best time. 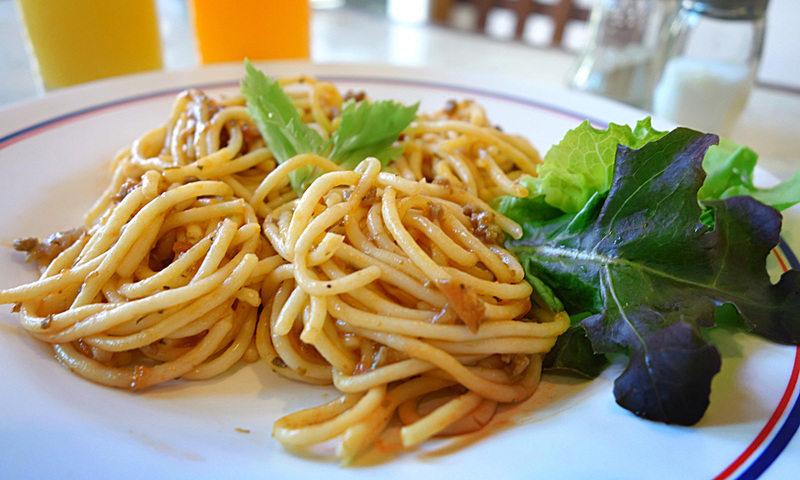 The restaurant at Lek Hotel offers a delicious and hearty meal on a budget. 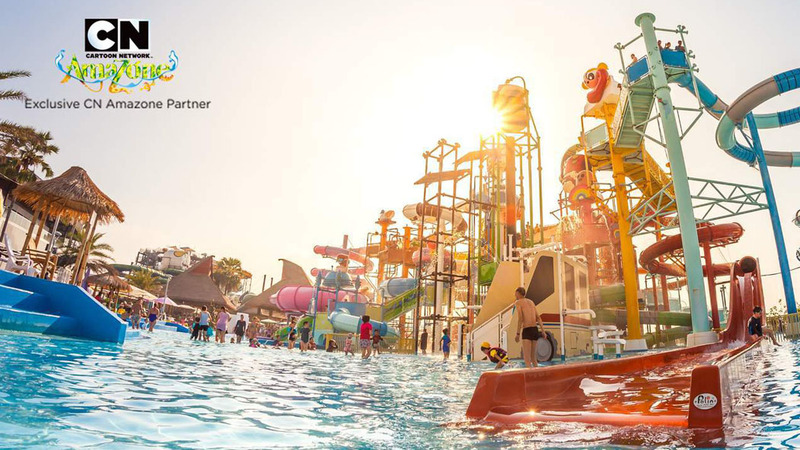 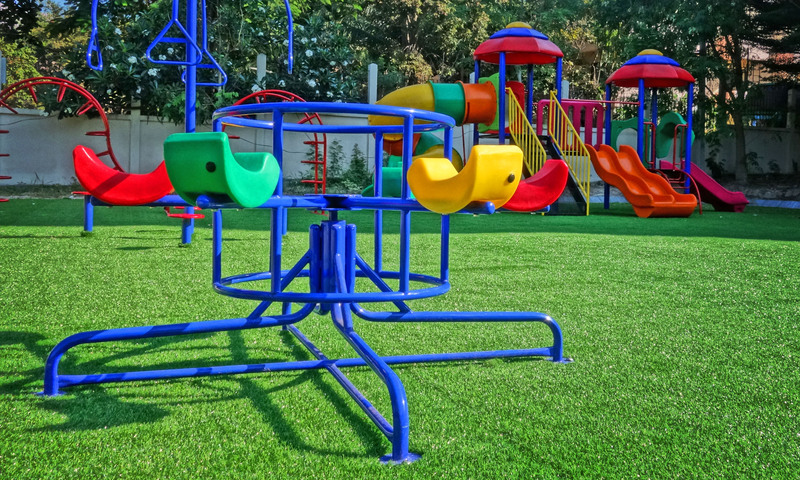 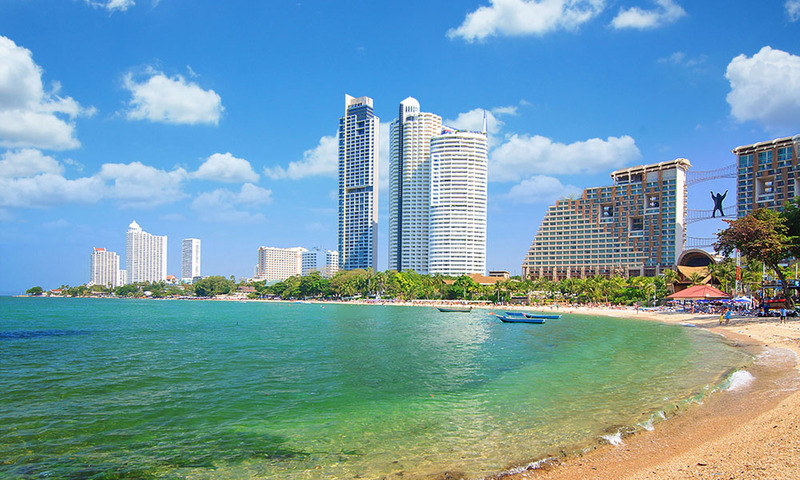 Because of its central location in Pattaya, the property is close to several tourist attractions like Central Festival Pattaya Beach, Royal Garden Plaza and Mike Shopping Mall. 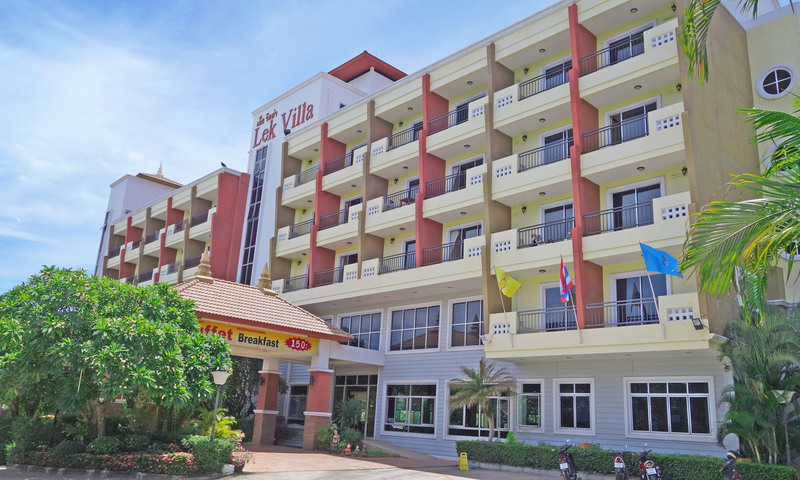 Lek Hotel Pattaya is 30 Km from Utapao International Airport and 86 Km from Suvarnabhumi International Airport. 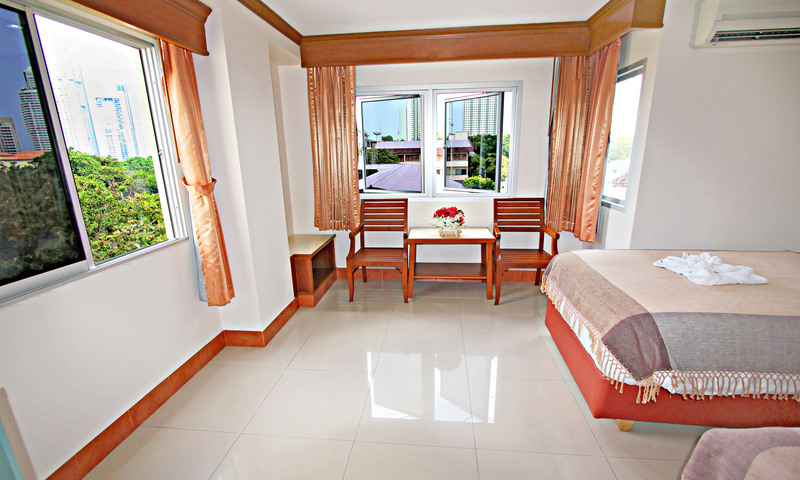 Lek Hotel Pattaya keeps it simple when it comes to room options. 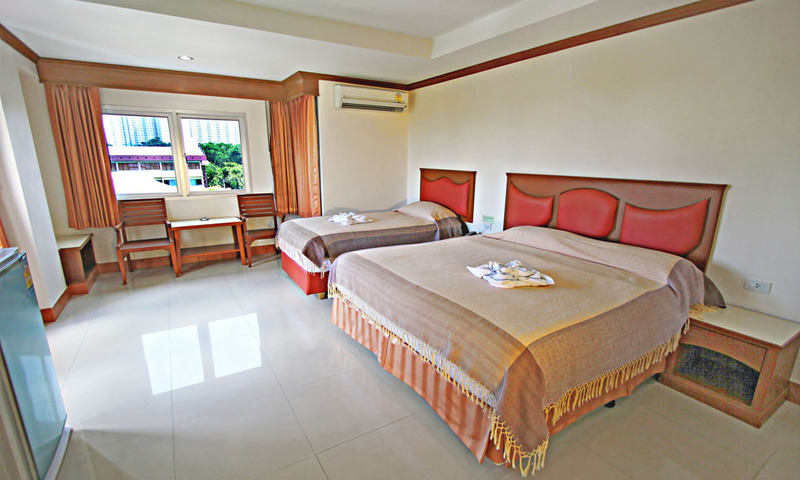 There are 3 categories of rooms offered to the guests such as Standard Front Wing, Deluxe Back Wing, Standard Back Wing. All the rooms have air conditioning, cable TV, a fridge, fully stocked mini-bar, safety deposit box and free wi-fi. 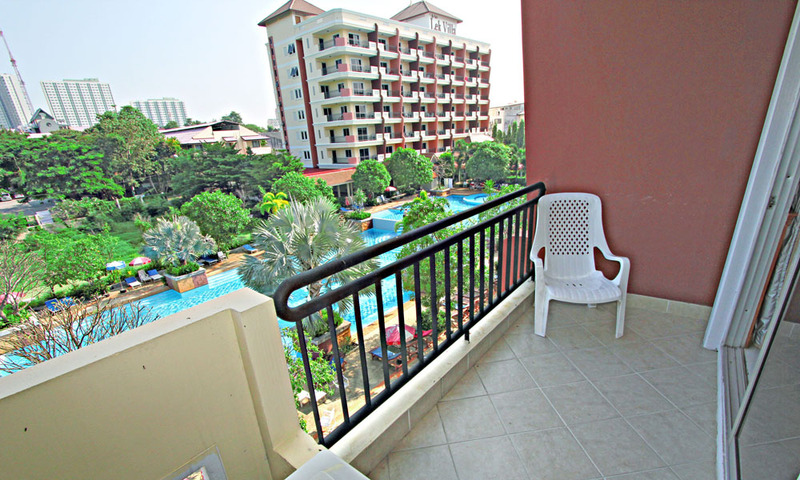 Some of the rooms have balconies that offer views of the city and the beach. 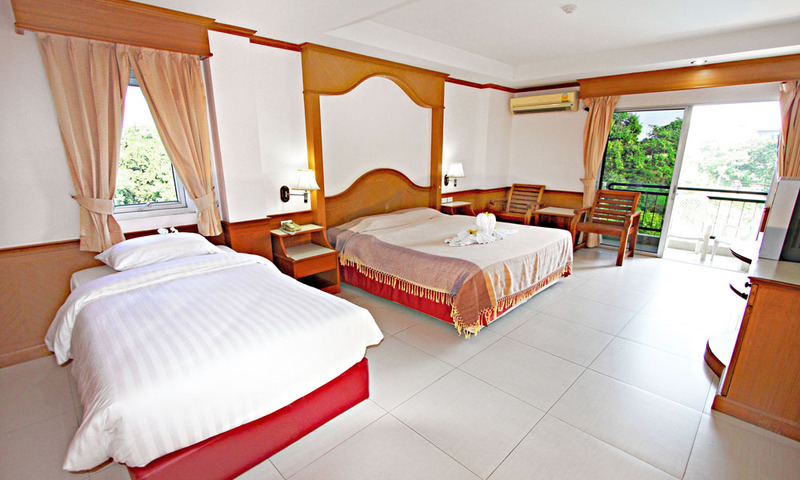 The Standard Front Wing rooms are 18 meter square with 1 king size bed. 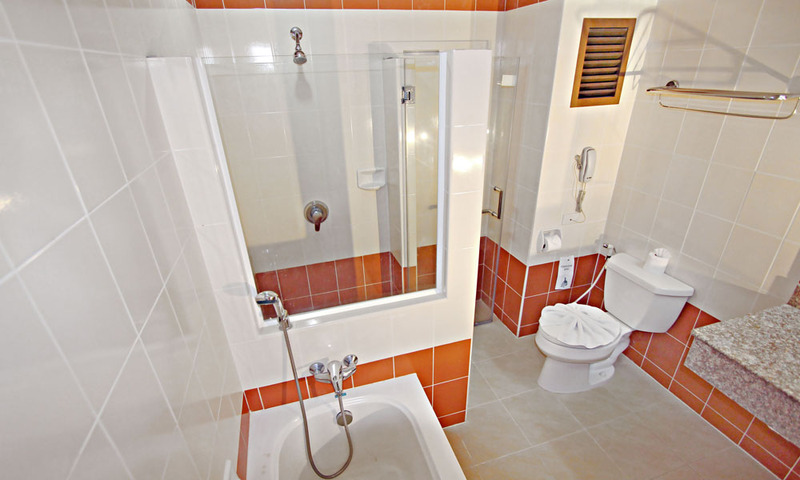 It has a desk, bath with shower and free toiletries. 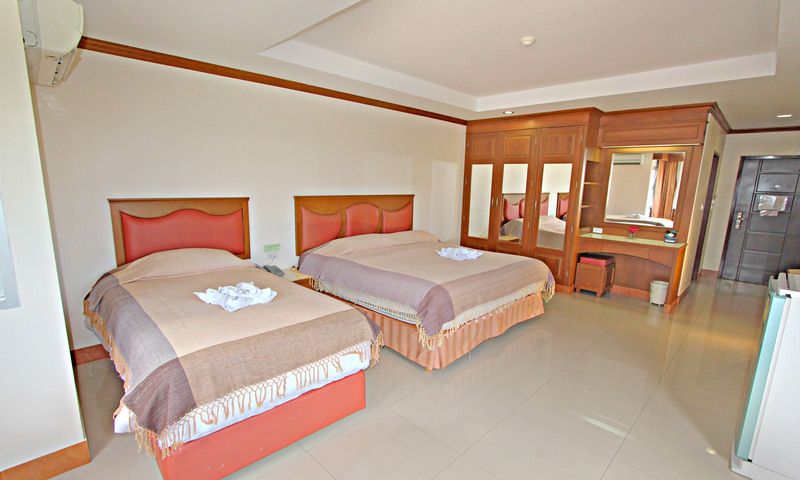 The Deluxe Back Wing rooms are 36 meter square in size and have 1 king size bed. Along with all the facilities of the Standard Front Wing room, these rooms also have sofas, a seating area, and bathroom with separate shower. 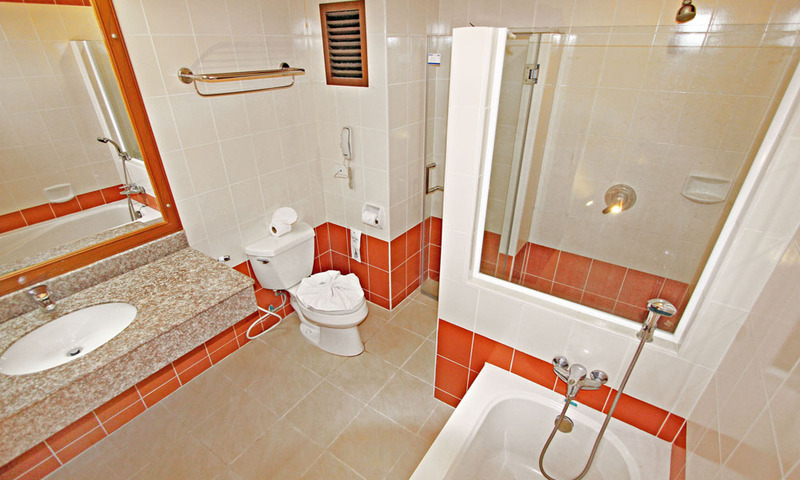 The Standard Back Wing rooms fall somewhere between the other two types being 24 meter square in size. 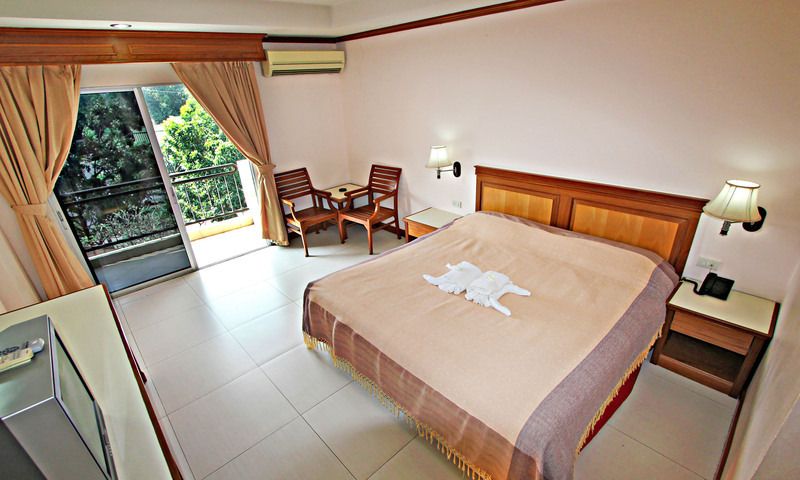 They also have 1 king size bed and all the facilities of the Standard Front Wing. 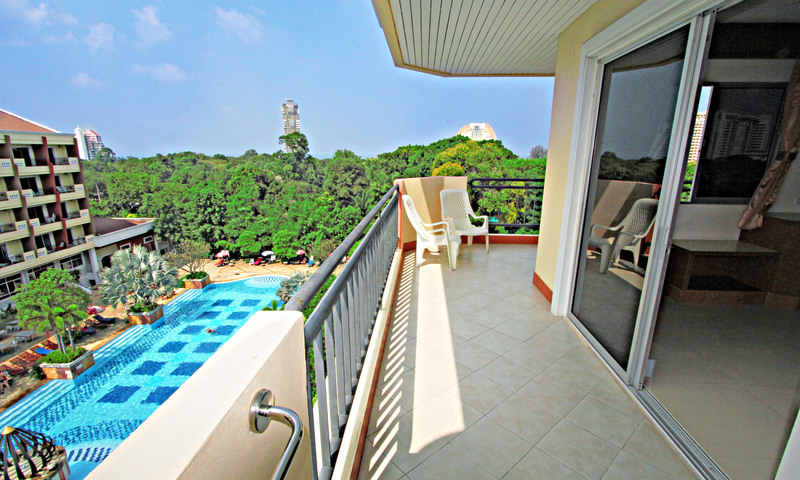 All of these rooms have pool views with balcony or street views without balcony. 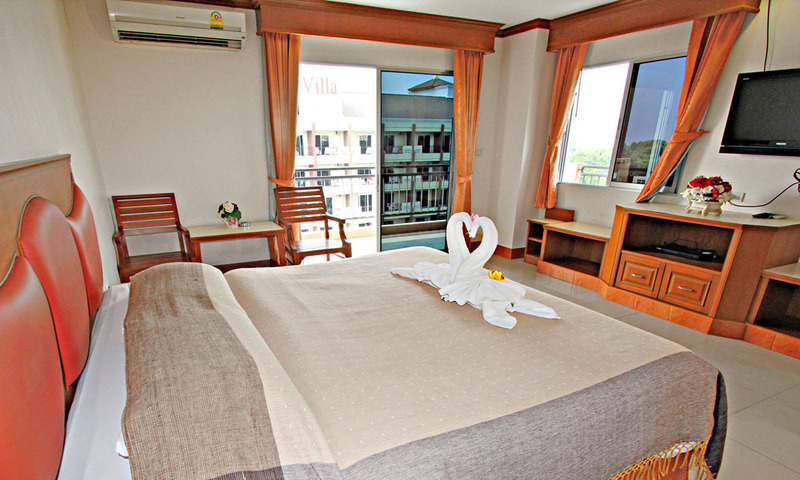 Lek Hotel Pattaya proudly boasts of a pool, spacious rooms and serene views of the beach. 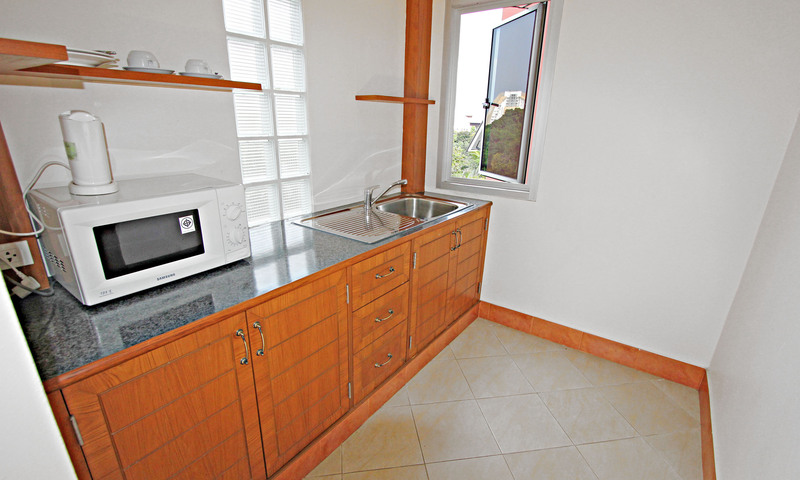 It also features an on-site restaurant for the convenience of the guests. 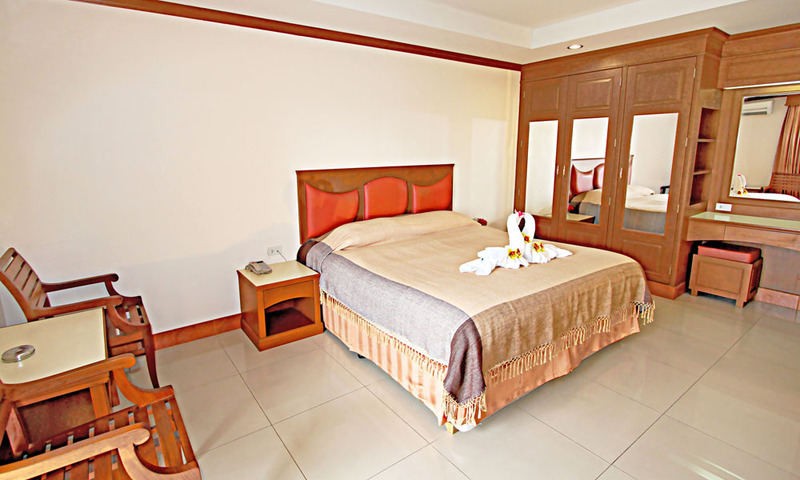 Besides, the hotel provides shuttle service to the airport and other popular locations on chargeable basis. 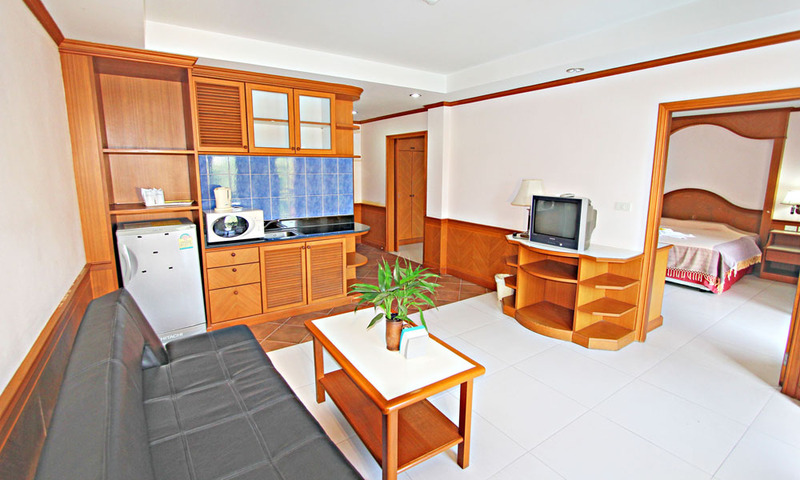 It maintains a tour desk that can help guests plan their vacation more efficiently. 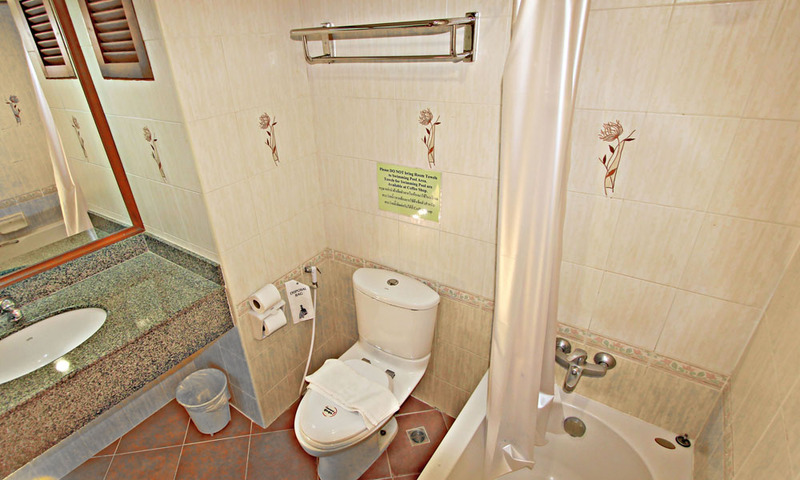 All the rooms at the hotel are well equipped with free wifi. 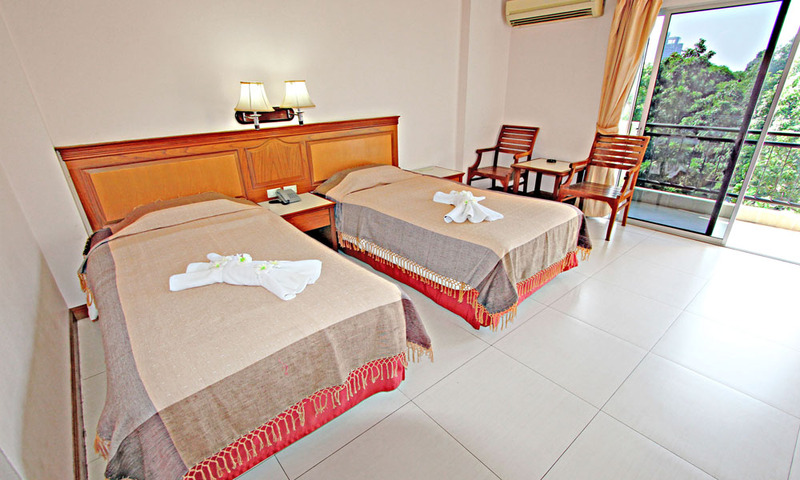 The hotel also feature a salon where guests can take benefit of various beauty treatments. 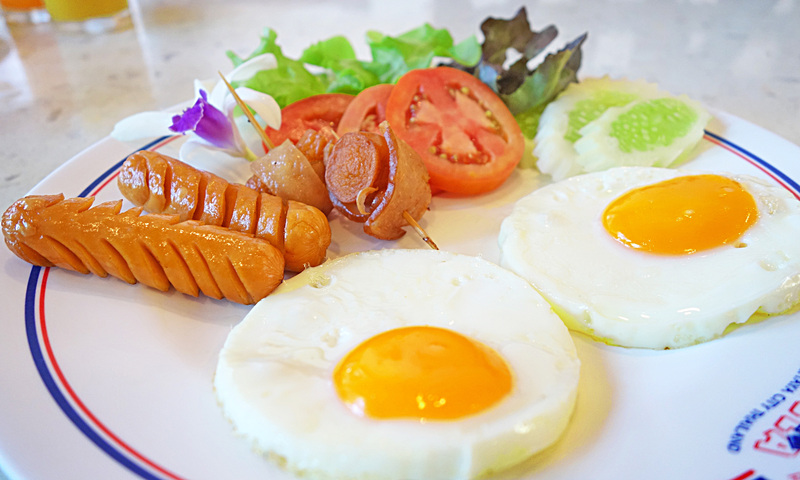 Lek Hotel Pattaya features an on-site restaurant that serves delicious meals prepared by expert chefs. 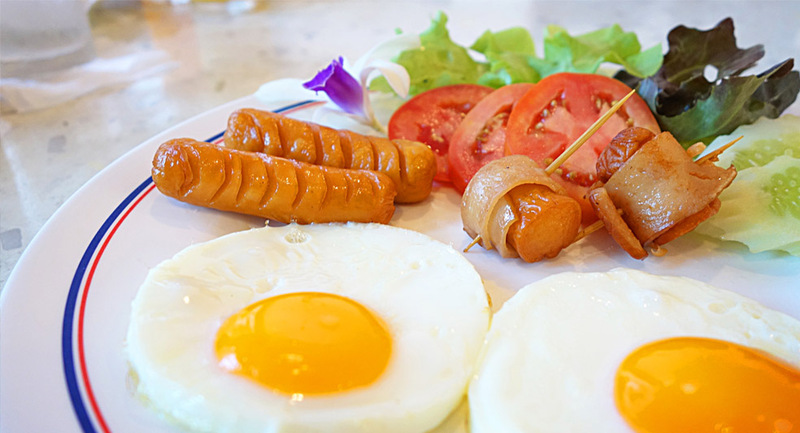 It serves daily breakfast in a buffet style menu. 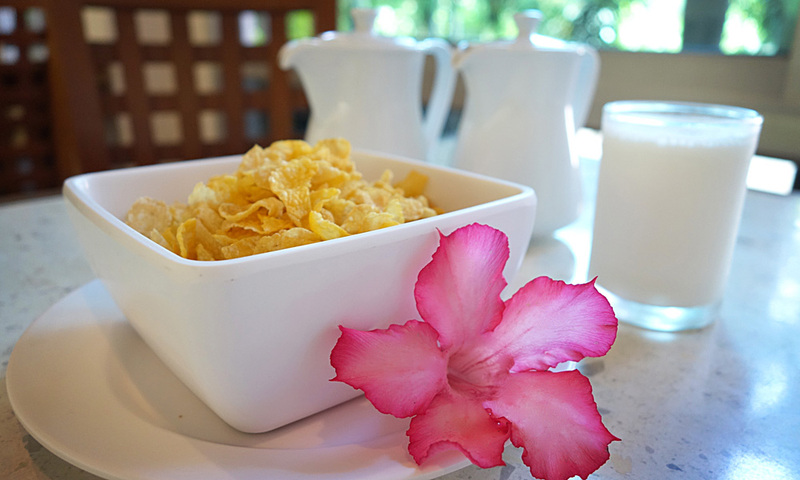 Both breakfast and dinner have savory Thai food, international dishes, homemade bakery and desserts. 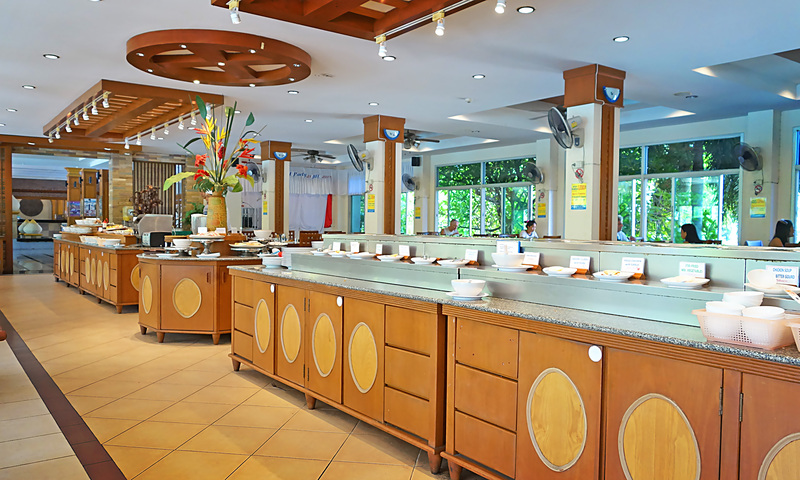 There is also a salad-bar for the fitness lovers. 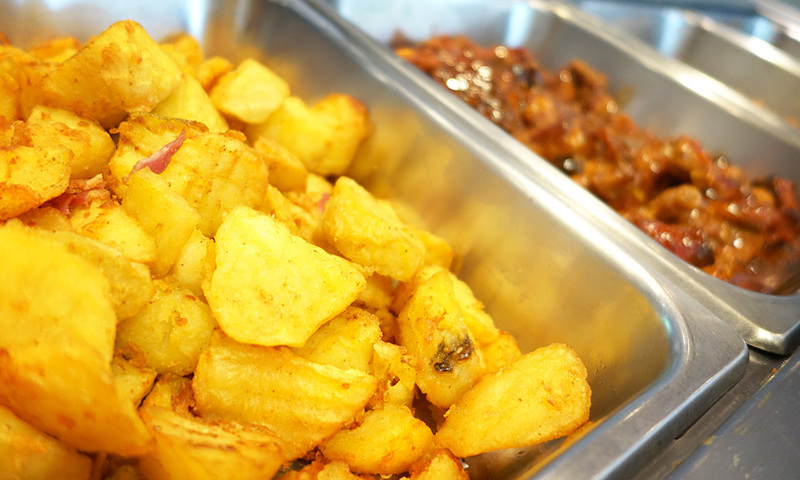 The best part is that the dishes are affordable and can fit any budget. The on-site coffee shop is set to make the mood of all coffee lovers. 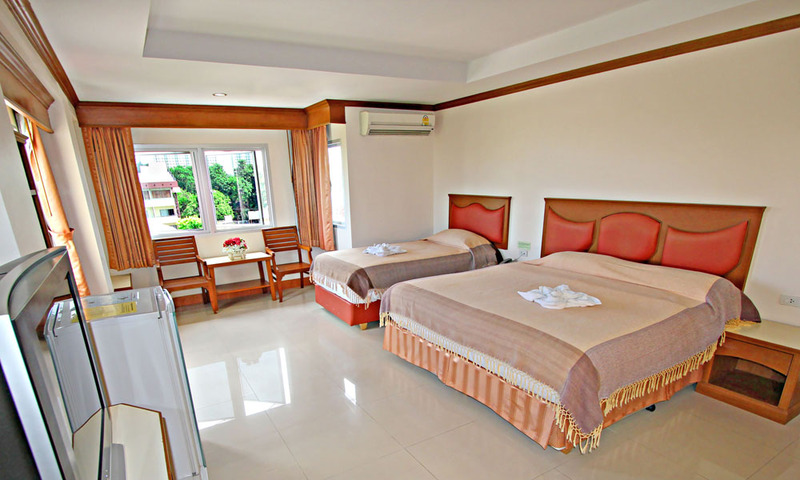 With all the basic and modern amenities that the guests can ask for, Lek Hotel Pattaya offers a great experience at a comfortable budget. 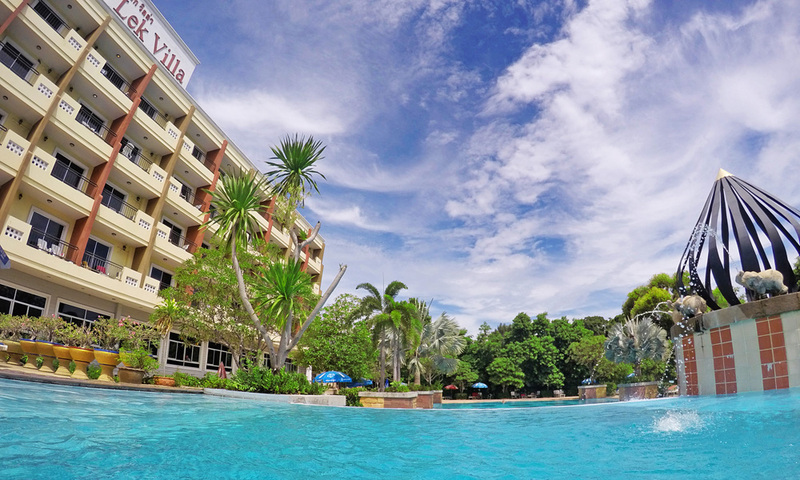 The outdoor pool is a great place to relax and take in the sun. 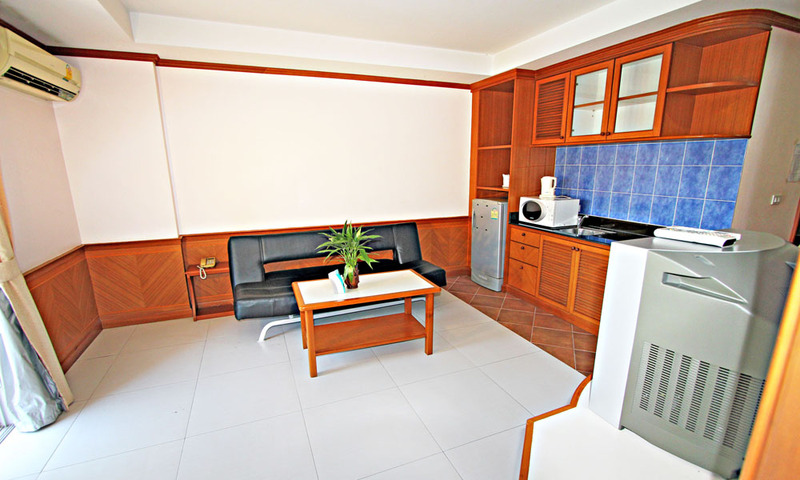 Its close proximity to various tourist attractions adds a lot of value to the property. 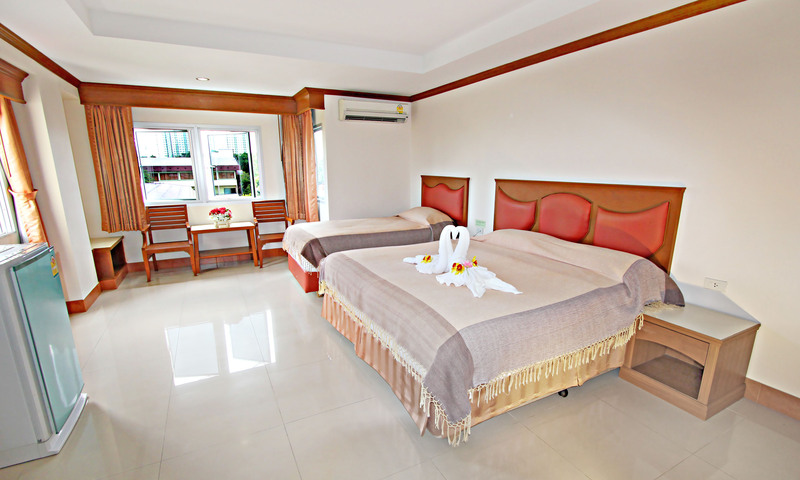 Lek Hotel Pattaya is about 30 km away from U-Tapao Rayong Pattaya International Airport. 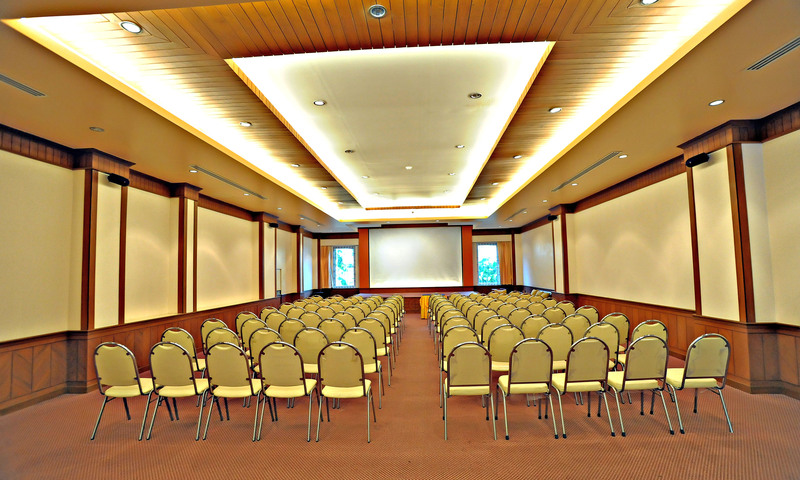 What are the activities to get engaged with during the stay in the hotel? 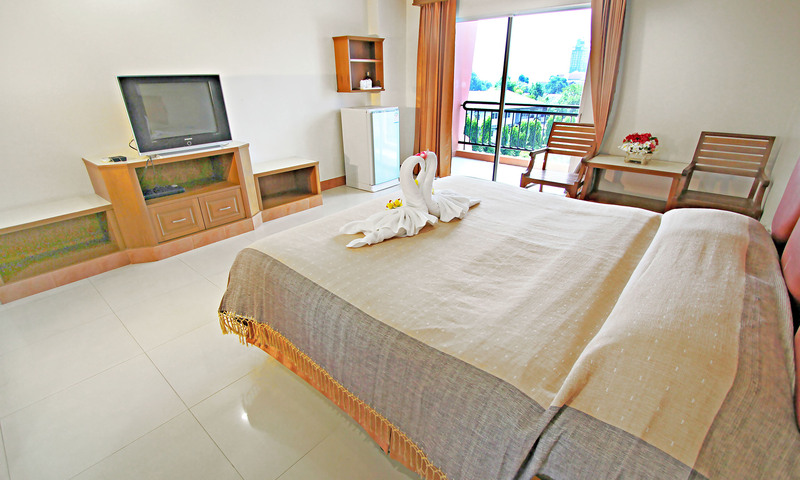 Guests can take a dip in the swimming pool or relax on the loungers. 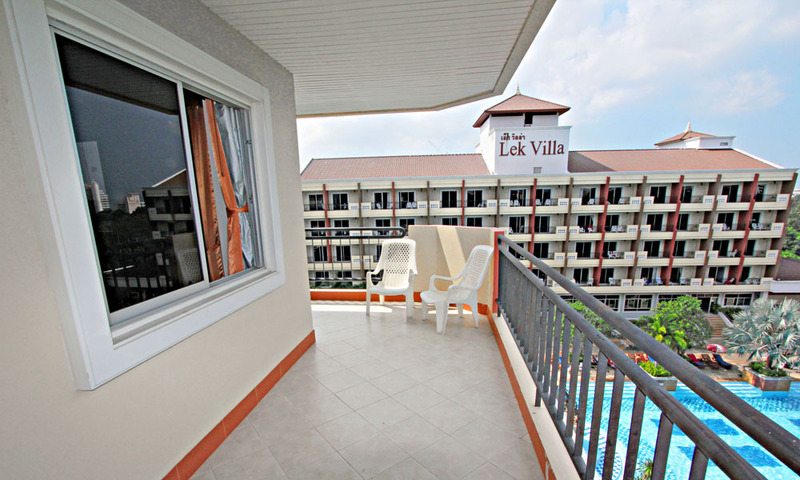 One can sit in the comfort of their room and make use of the free wi-fi to share moments of their trip with their near and dear ones. 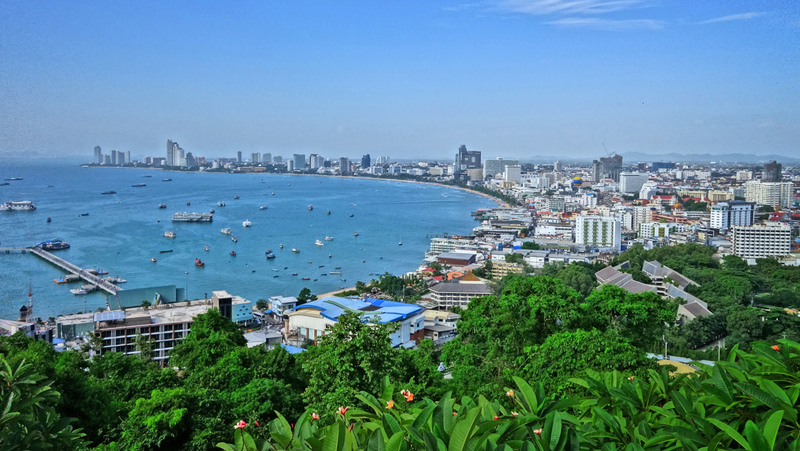 The property is walking distance from the Pattaya beach where couples can have a romantic evening and families can have picnics. 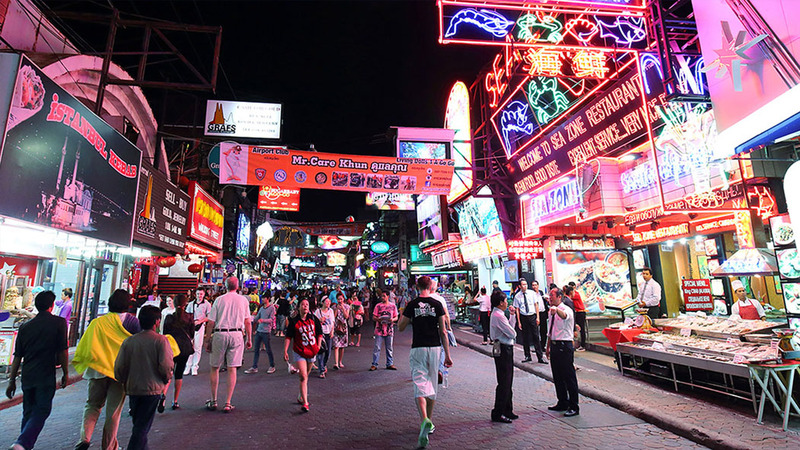 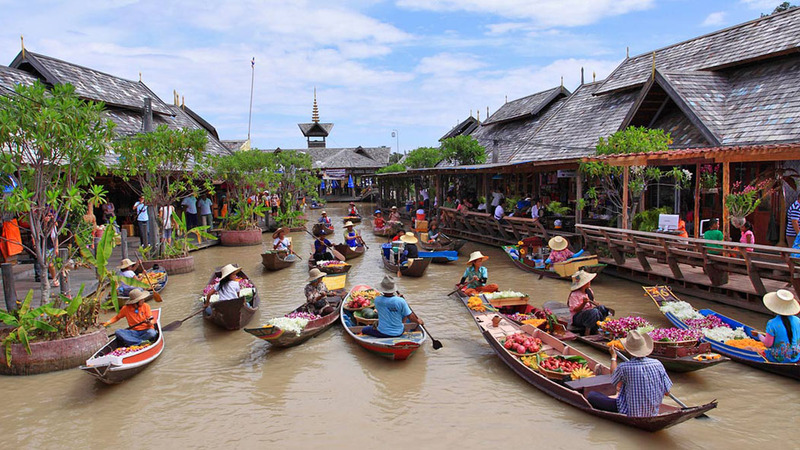 There are various tourist attractions close by like Royal Garden, Mike Shopping Mall and Central Festival beach. 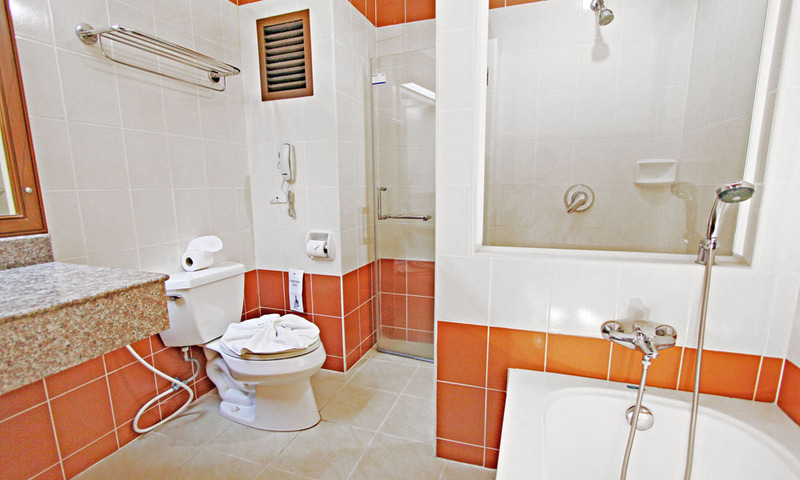 Yes, the hotel has an on-site restaurant. 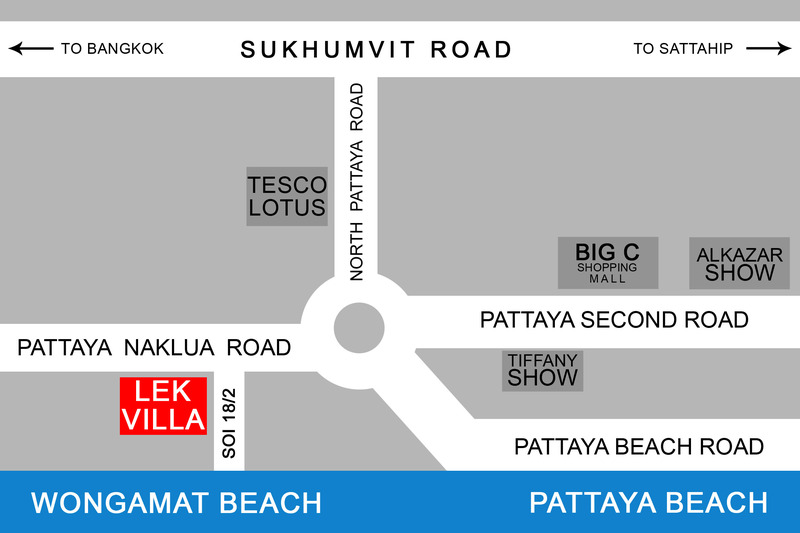 How far is the Pattaya beach? 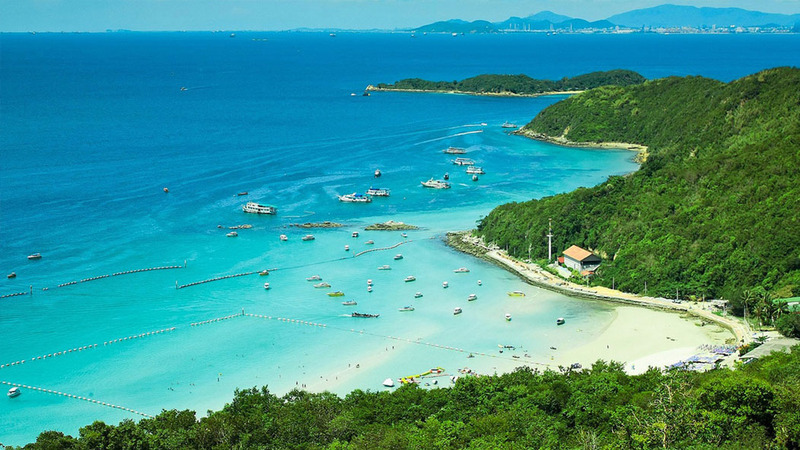 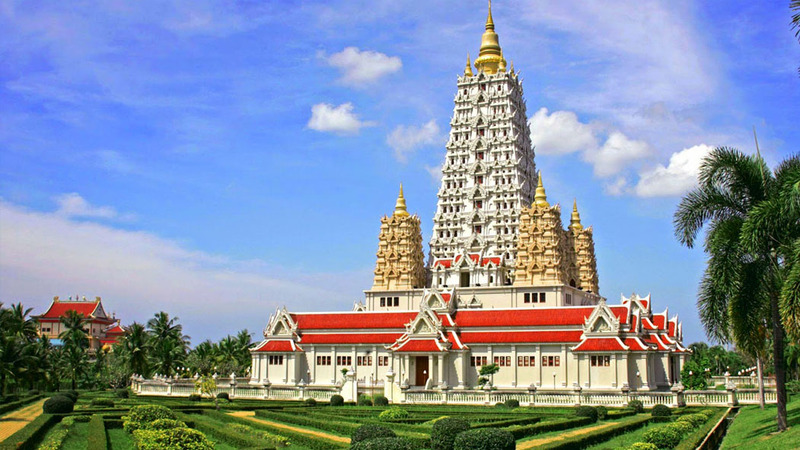 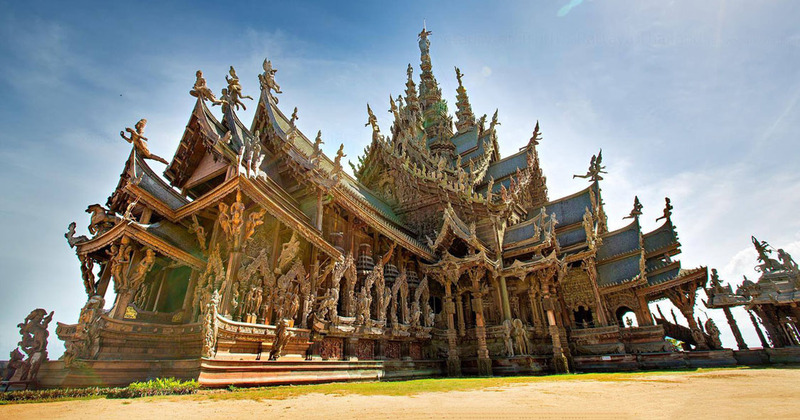 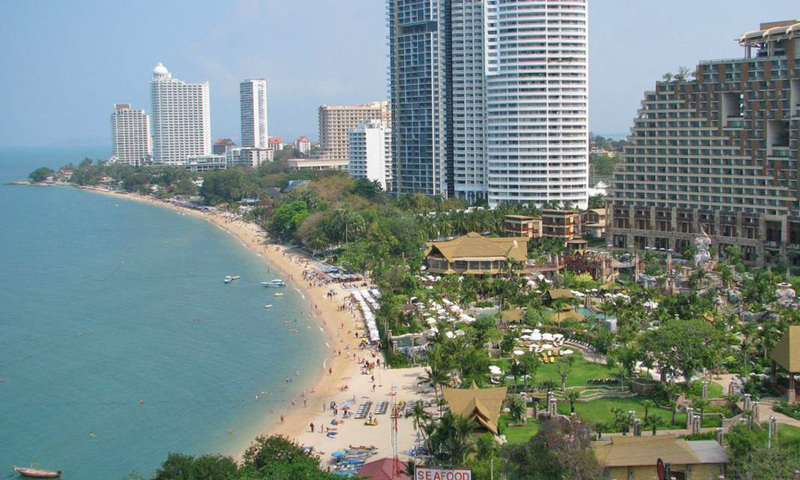 Pattaya beach is just 200 metres from the Lek Hotel Pattaya Thailand. 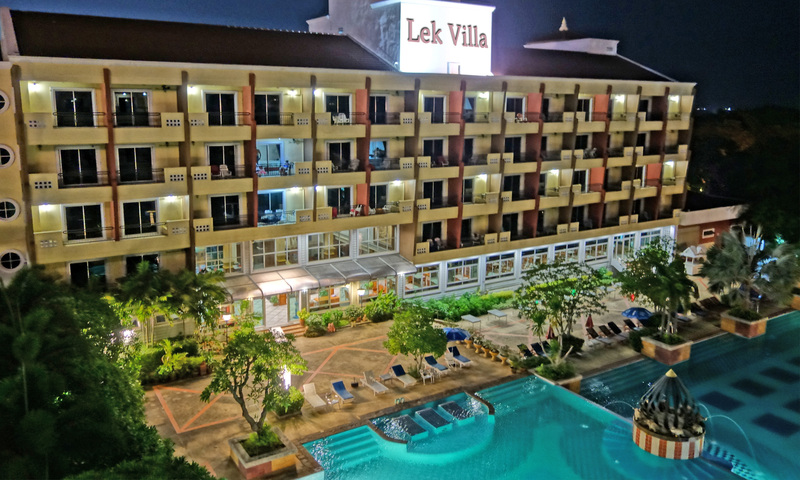 Located at walking distance from the beautiful Pattaya beach, Lek Hotel Pattaya Thailand is a great shelter for everyone and offers a comfortable stay without breaking the bank. 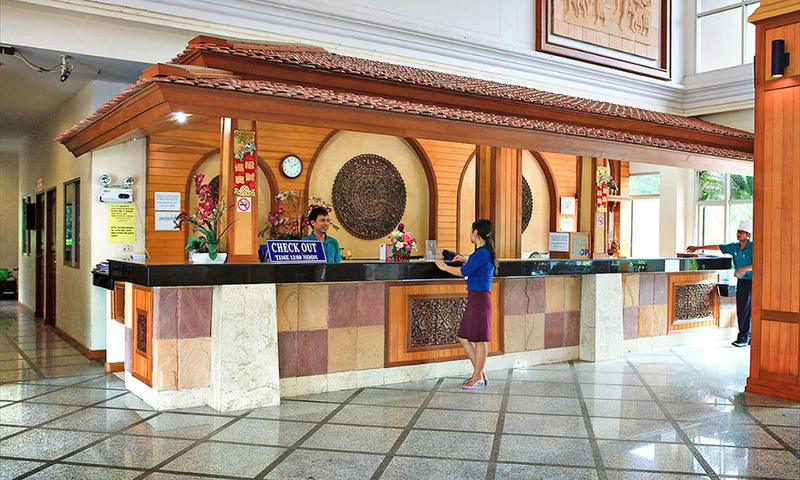 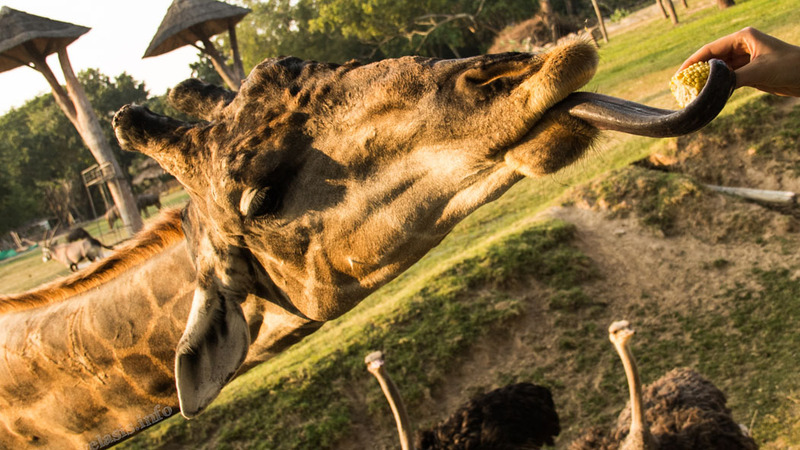 The hotel has a friendly staff that is readily available for any queries. 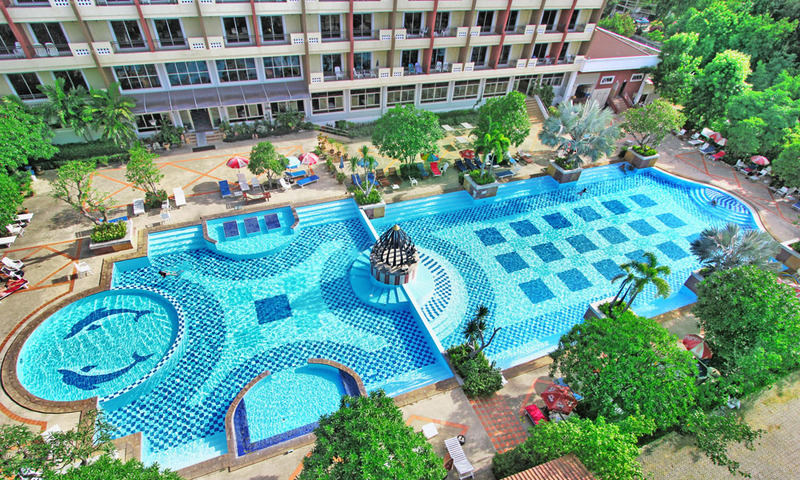 With its central location and host of facilities, guests can explore the city and then come back to the pool in the hotel to relax and rejuvenate. 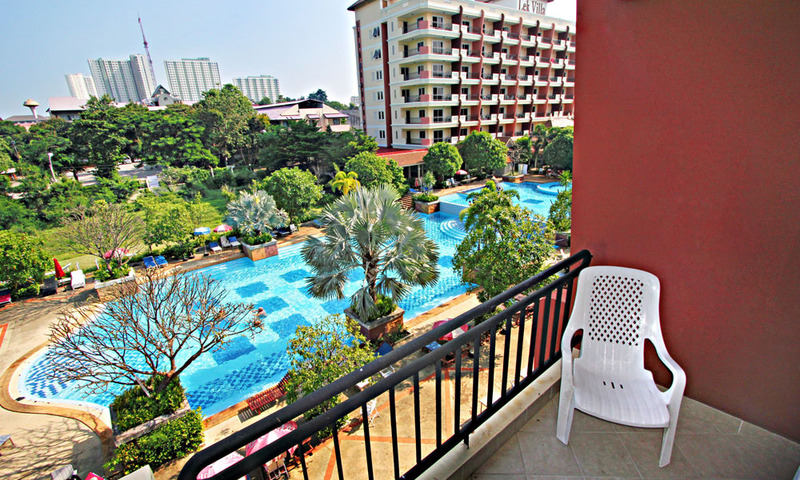 Or, they could just sit beside the pool and take in the morning sun. 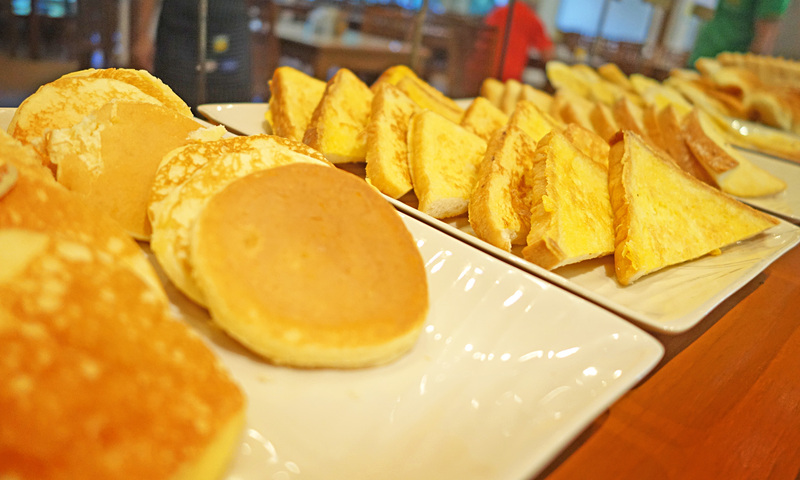 The restaurant serves tasty breakfast meals, making sure that the guests have a great start to their day. 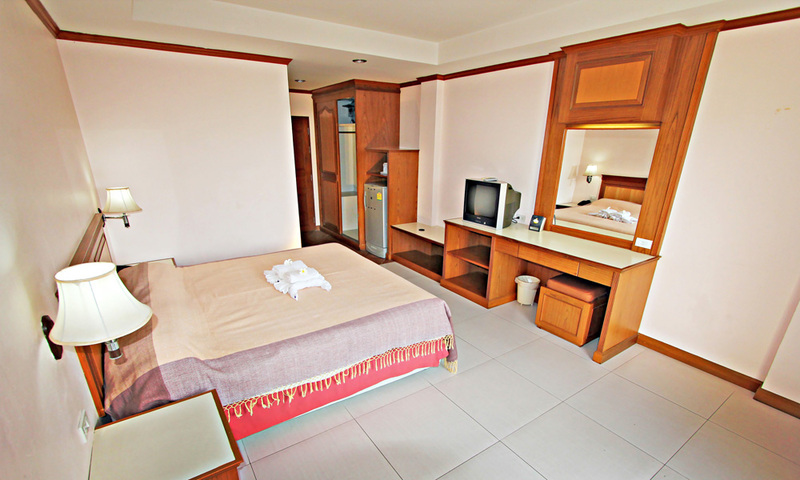 If travelers dont have any plans in particular, the travel desk in the hotel can help them in organizing their vacation in the most efficient manner. 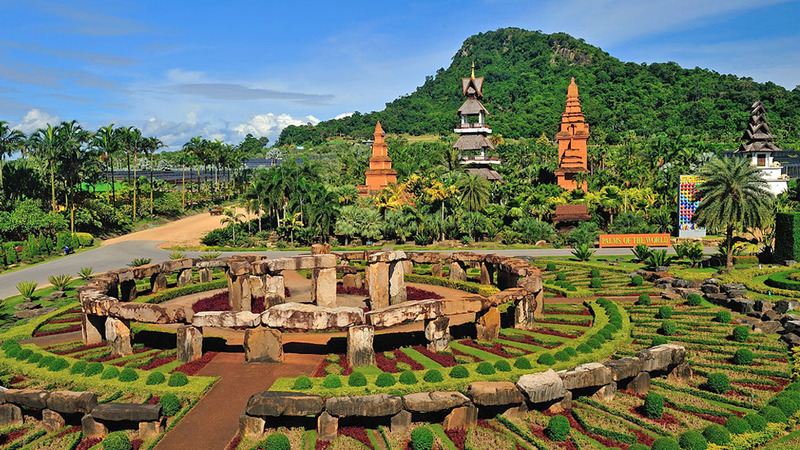 They can give advice on the must-visit places and must do activities. 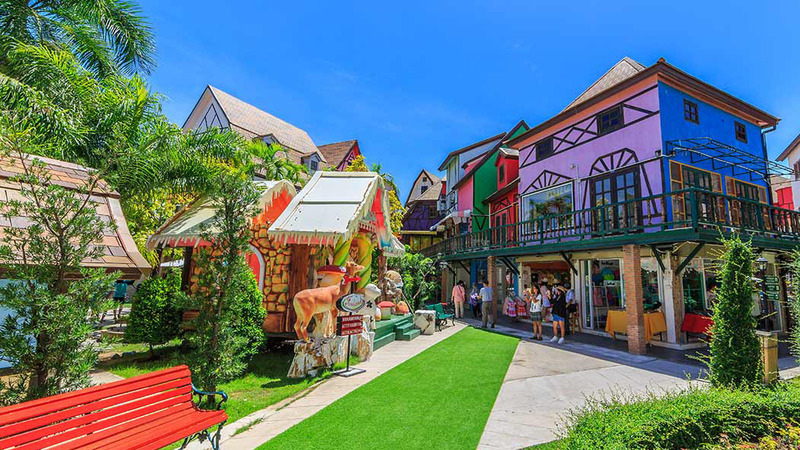 Lek Hotel Pattaya Thailand is located close to Royal Garden Plaza which is a huge shopping mall and Pattaya Night Bazaar which gives a taste of the rich Thai culture. 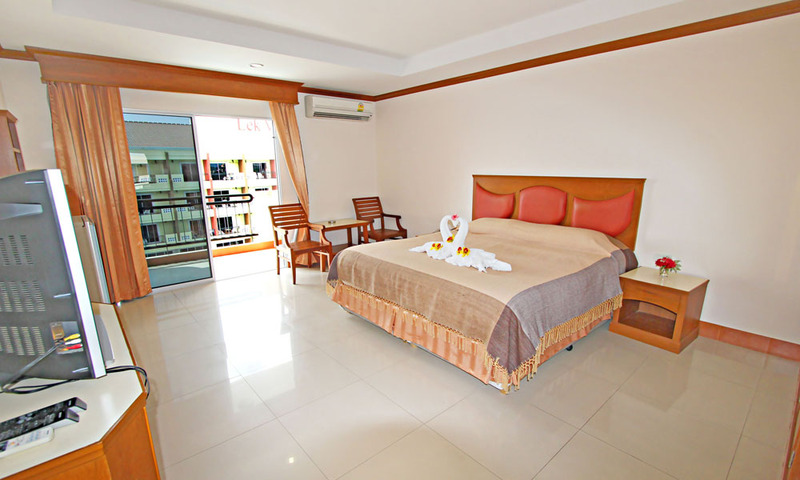 With elegant rooms, several facilities and close proximity to various tourist attractions, Lek Hotel Pattaya is sure to give its guests an unforgettable experience.